We all love a good movie, maybe a rom com to lighten the mood, or an action movie to get your pulse racing, perhaps even a solid documentary to help get your brain juices flowing. For decades Hollywood has been the bright star in the international film arena, and has produced just as many successes as flops. How then can Hollywood and movies help you as a marketer? Good marketing, like a good movie, tells a story. If you want to get a point across, telling it as a fable is the best way to engage with the audience. Otherwise you’re just ramming facts and fiction down people’s throats which no one appreciates. In fact story telling is the core of what movies are about, they are after all the modern persons fireside tale. The art of a good story can actively engage your audience and get them ready for the ending – whether it is the Hollywood fairy tale ending, or the marketing punch line of promoting something. All good marketers are good story tellers, perhaps it’s a real life story (usually the easiest to tell) or even something made up, so long as it gets the point across it will work. We’ve all watched a movie that should be the best thing ever, yet is let down by stilted and poor writing. The same thing goes for internet marketing: the product might be amazing, but if you don’t show it in the right light you won’t get people taking action. Careful choice of words, phrasing and tone is needed to trigger users into moving forward and clicking those links. Just as most movies focus on one main character, your business and websites should too. A lead character – in this case you – provides the audience with the needed central point. They should be just as important as everything else, if not more so. The lead character often defines how the movie plays out. 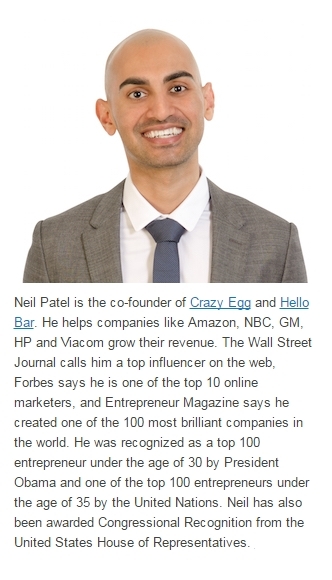 Consider Neil Patel who is a big name in online marketing. His blog Quicksprout focuses around him rather than any of the products he sells. His knowledge, his authority is what then sells the products. The same goes for Joost de Valk, who is probably better known as his online moniker Yoast. His cartoon face plasters everything to do with his business and it’s his knowledge and skill set that has catapulted him and his business into success. Sure these guys could have focused on the products instead, like most businesses tend to do, but having a lead character allows them to be on a personal level with their audiences. The Blair Witch Project, a shaky low budget horror film from 1999, was made for a shockingly low $25,000. It grossed over $248 million. What this proves is that while big budgets can help grow and improve a business they are not the defining factor. In fact most successful internet marketers started out on a shoe string, working hard alongside a paying job to get started. Of course, once some money is coming in, it makes sense to re-invest it back into the business and I’m pretty sure in time that your marketing and investment budgets will grow. At the start though you can get by with hard work and a limited investment amount, maybe enough for hosting and a domain, and maybe a theme or logo. Being a successful entrepreneur is not about the money that’s invested, it’s about finding opportunities, learning from mistakes and willing to take action and (assessed) risks. This might seem like an odd lesson, and is in some ways subjective. Personally I find that if a movie has a sequel it should grow from the first. Films like Aliens and Aliens 3 take the original movie and move it forward, whereas all the constant Spiderman reboots seem to rehash the same stuff over and over. The same should go for your business, especially content. There’s no harm in taking something that worked, whether it’s a product or a piece of content and re-working it into something new, so long as that new thing has added value. A lot of internet marketing products tend to rehash the same old formula and some barely even change their titles let alone content. Really though, this is short sighted. Take Woocommerce for example: they have a solid and successful product and have built upon it with multiple extensions. Or instead, take that 5,000 word article you wrote in your niche. It was a success, so what do you do? Re-write it? Nope, you instead use it as a base for more content. What questions did the article raised but not answer? Those are your sequels; those are your added value. If a movie series is all about action and suspense, then that’s what the audience is no doubt expecting. Giving them a love story instead is bound to make people upset when they wanted to see stuff being blown up (The Phantom Menace, I’m looking at you!). Audience expectations are something that has to be nurtured and fed. The same goes for your websites audience: you need to find out what they want, and supply it. Sure you can always go off the beaten track in order to experiment but if your audience wants written articles on SEO or videos about gardening then it makes sense to provide that type of content. Special effects and CGI are so good nowadays that many directors favor spending their budget on the “latest thing” to dazzle and wow an audience rather than, you know, making a decent film. Pretty much anything by Michael Bay fits that category. The thing is, it can often leave people unsatisfied. Instead, focus on your visitor’s needs. Once those are managed you can start adding bells and whistles to your site. Craigslist is the perfect example here: it looks ugly as sin, but it does what people want it to. If the owner wants to add some polish to it, then he can because the site works and it works well. There’s simply no point in getting bogged down in what amounts to fluff until the site earns money. Movies are stories, stories sell, marketers should tell more stories. The audience are people, people have wants and needs, marketers should help them achieve those. If you haven’t taken anything else from this article, take those two facts with you and incorporate them into your daily business.